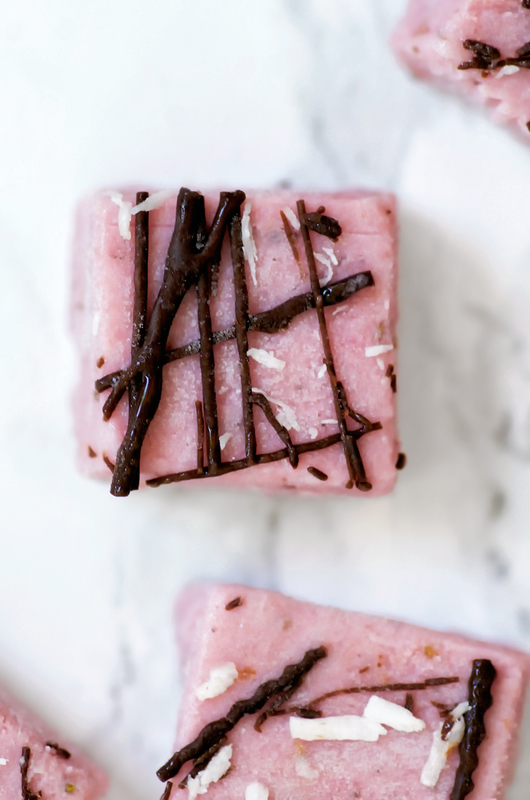 Raw & vegan strawberry tahini freezer fudge made with whole food ingredients like coconut milk. This ‘fudge’ is a bit more like an ice cream square, as it’s kept in the freezer, and it’s awesome. I’m a little late with this post, and the strawberry season has passed here. I’m waiting on blackberries and tomatoes now, which should be ready in the next week or so. My mom has been strawberry picking in Manitoba, though, so I know they’re going strong in colder climates, and I don’t want to wait until next year to share this recipe. 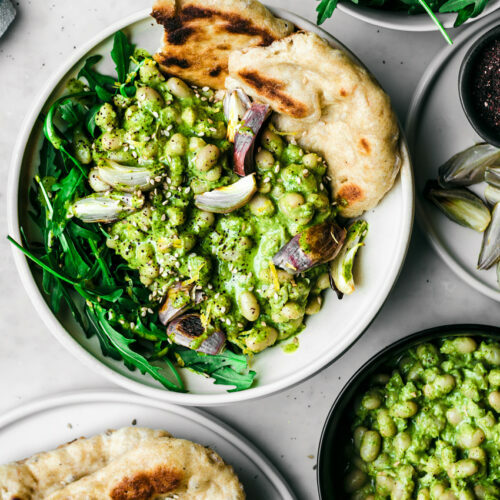 I haven’t been as present lately here because I’ve been working on a cookbook proposal – I know a lot of bloggers keep books tightly under wraps but I’m just sending it into agents and publishers, so I don’t see why I shouldn’t tell you about it! I don’t have an offer (yet?!). On to the recipe. 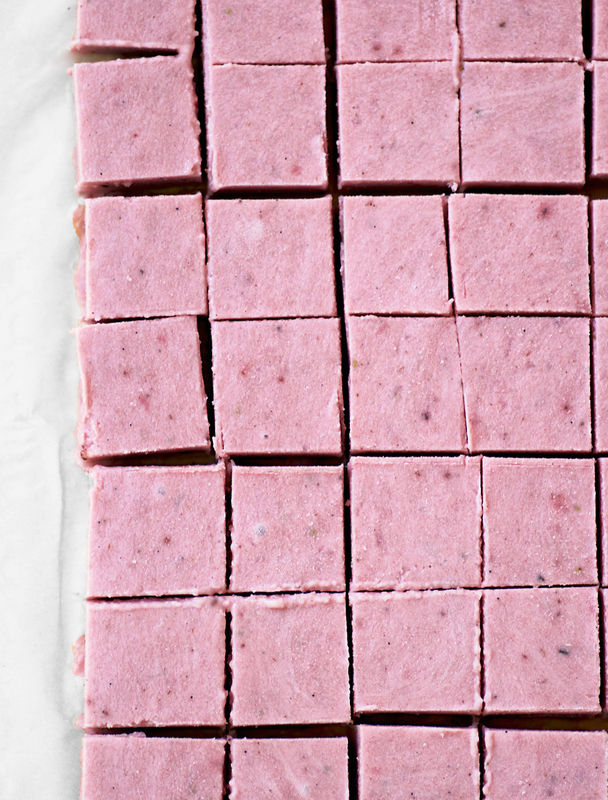 This is a raw strawberry tahini freezer fudge made with simple, wholesome ingredients. I was a little skeptical after my first taste but I ended up demolishing it, despite cutting into tiny bite size pieces to try to control myself. If you don’t like tahini very much you can replace it with almond butter, and if you want to give it to kids I recommend that. The tahini adds a little bitterness that I liked, but Graham found a little overpowering. I think he was unimpressed by my calling it fudge when it’s obviously not actual fudge, hah. 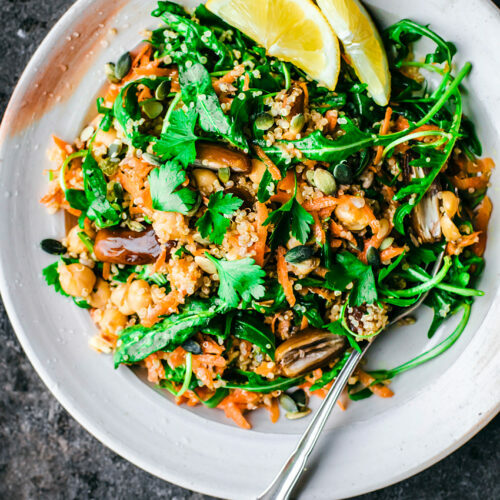 Depending on how mild your tahini is, you might not have much or any bitterness coming through, so use your discretion. The coconut milk in the recipe makes the texture more like ice cream pieces than fudge, like tiny squares of ice cream cake. It’s freezer fudge. And it only has five ingredients. 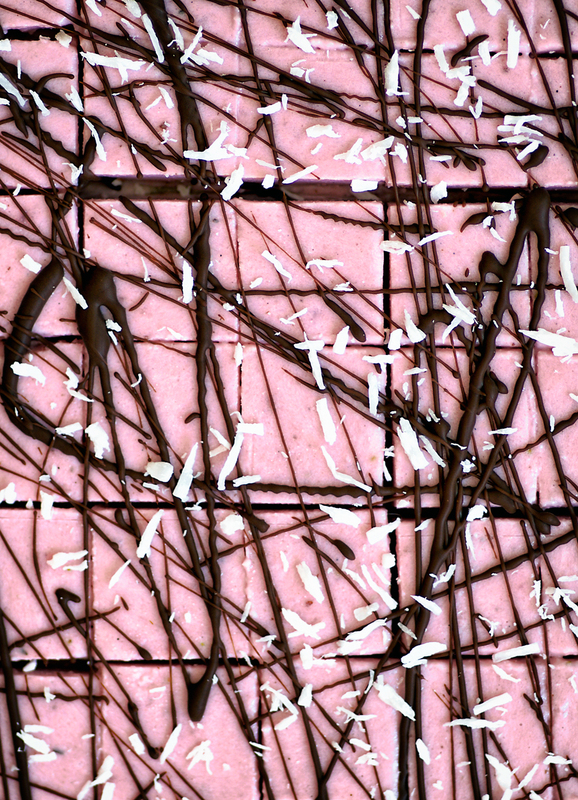 Raw & vegan strawberry tahini freezer fudge made with whole food ingredients like coconut milk. This 'fudge' is a bit more like a frozen ice cream square. Line a small pan with parchment paper (I used a 20cm / 8 inch pan). Place the strawberries, coconut cream, tahini, honey, and vanilla in the bowl of a food processor. Blend at high speed until completely smooth. Taste for sweetness, and add additional honey if necessary. Pour into the prepared pan and place it in the freezer for at least two hours or overnight. Take the fudge out of the freezer and cut into 3cm / 1 inch squares. Drizzle the melted chocolate over top and add some shredded coconut if you'd like. Keep the fudge in the freezer and eat immediately after taking it out as it will melt quickly. It should keep for at least a couple of weeks, but it hasn't lasted past a couple of days in my house! • It really doesn't matter what size of pan you use as you're not baking anything. The squares were a couple of centimetres high for me but they could be thicker if you have a smaller container. 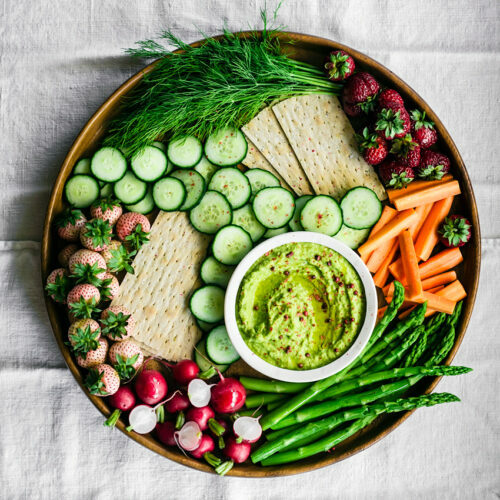 • If you want to do some snacking, keeping them in the cold container while you eat helps a bit. They lasted a solid half hour for me before starting to really melt if I kept them in the freezer container. • For a fully raw option, use raw chocolate for the topping. * This is scooped from the top of a full-fat can of coconut milk. ** Honey will result in a softer texture, but maple syrup is a fine substitute if you don't eat honey. Tiny squares of ice cream cake? Oh my goodness, yes please! 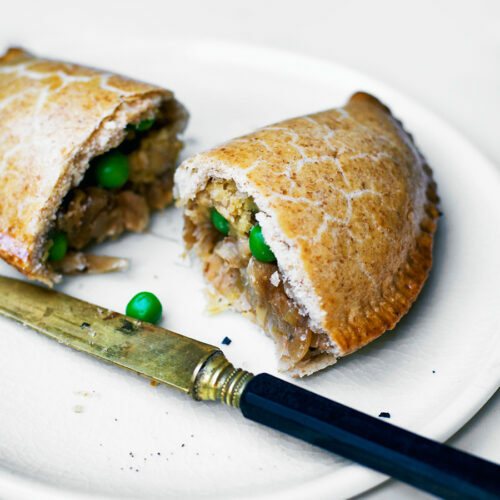 This looks like a delectable treat. Oh my goodness, these photos are absolutely lovely. I love love that first one! Congrats on putting together your cookbook proposal, there's so much work involved in that process, it's insane. Good luck! I really love this strawberry/tahini combo and I'm going to try it out asap. Thanks! I am always on the hunt for healthy dessert (especially frozen :)) and this looks amazing! Pinned to healthy desserts too! This looks and sounds delicious! Perfect for a healthy dessert idea. Good luck with the book proposal! Freezer fudge sounds amazing! I love how colorful and pretty each little square is. Omg, this fudge looks awesome!! It must be super delicious, so I'm definitely going to try it. Thank you for sharing it with us! Thank you, Brittany! I almost didn't post this recipe because I was unsure of the photos so that's really nice to hear. Hope you love it! Hah, in those hot summer months we all need a frozen sweet, right? I think so! I can see it working really well with maybe cantaloupe/almond butter or, of course, banana/peanut butter! Thanks, Kelly, I hope you like it!